New Japan Pro-Wrestling is Japan's most prolific existing pro-wrestling entertainment company. 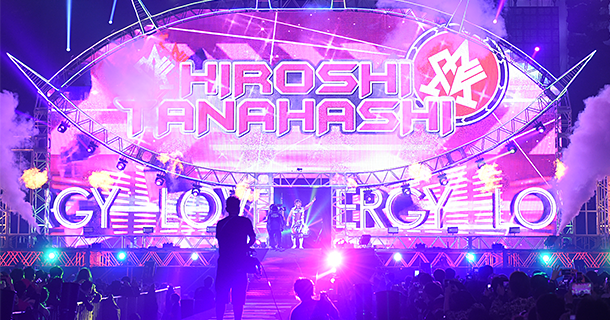 With a strong brand image forged from 45 years of excellence and ground-breaking content featuring a roster of world-class exciting pro-wrestlers, New Japan Pro-Wrestling continues to excite fans around the world as a part of Bushiroad Group since 2012. Visit the New Japan Pro-Wrestling site. The marquee Tokyo Dome event (currently called "Wrestle Kingdom") has been a fixture of the pro-wrestling world every year for 28 years and counting. While New Japan Pro-Wrestling tours Japan extensively, the list of events held overseas has recently grown greatly, and is on track to continue to expand. 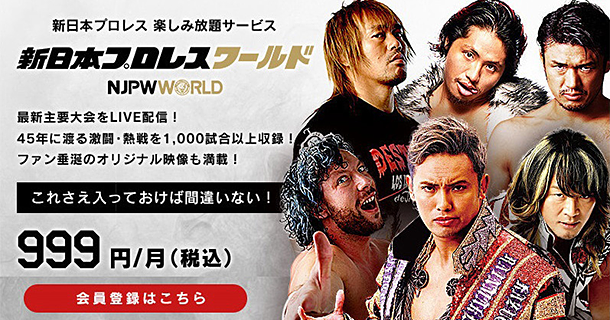 "New Japan Pro-Wrestling World" is a subscription VOD service operated by TV Asahi and New Japan Pro-Wrestling. With live events, a large archive of classic matches, and original programming in both English and Japanese, it's allows fans from all over the world to conveniently experience the best of New Japan Pro-Wrestling. 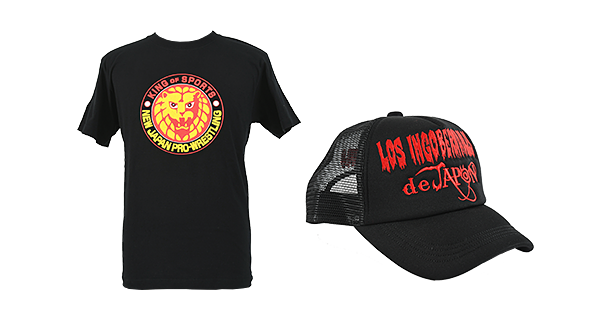 Along with goods featuring the classic Lion Mark logo, faction and wrestler-specific merchandise such as T-shirts, towels and accessories give fans a chance to show their support and passion. IP-collaboration and limited-edition design merchandise are also periodically on offer.